There’s a moment when the holidays are finished and the pleasure of catching up with colleagues and clients is over, when it’s natural to question whether you’re happy in your job or are ready to consider another role. January may be one of the coldest and most dismal months of the year, but it’s also the start of something new. The festive break provides a change from routine, and with it, time to consider whether what we do every day is really what we want to be doing every day. New Year’s Resolutions prompt many of us to think whether a new year should be a new you, whether it’s a new exercise plan, a new diet, quitting smoking or drinking less. And it’s the same for one of the most significant areas of life – our careers. According to Monster’s 2018 Year in Jobs Report, eight of the top 10 days for job searches last year were in January. This coincides with a time in the year when many people retire or leave firms after receiving end-of-year bonuses, and departments have recruitment budgets for the year approved and are ready to start hiring. With so many people searching for jobs in January, you might think it would increase the competition, however, thanks to a greater number of jobs coming onto the market this month, that’s not the case. Indeed, data from UK sites PageGroup and TotalJobs shows 14% fewer people apply for jobs between January to June than from July to December, so changing jobs earlier in the year can make sense. In Jersey, recruitment agencies are seeing a spike in new candidates early in the year, along with a swathe of new roles. Shelley Kendrick, Managing Director, Kendrick Rose, said: “The new year is a time of change and renewal for so many of us. People have had time off to reflect on life and think about careers and life goals. January has always been a busy month in recruitment, driven as much by candidates wanting to change roles, as firms having vacancies to fill. A survey by Glassdoor found 18% of people consider moving jobs in January, making it the most popular month for change. The most common reasons for wanting to move were low pay (35%), needing a new challenge (23%), and finding the work boring (22%). Shelley said: “People who have been thinking about change for a while might jump straight into new job applications at the start of January, however, others will go back to work and try to find ways of making their role meet their goals, e.g. will there be scope for a promotion or a pay rise? “These people may be casually researching what else is out there so they can compare what they have. Later in the month, if people realise they can’t get what they want in their current role they start registering as candidates and begin searching in earnest. If you are thinking about moving because you’re not happy with pay, be aware it’s not always the route to feeling more satisfied at work. A study by Arden University found 39% of British workers were not happier after a previous job change. Perhaps one reason 25% of those surveyed were planning on upskilling while in current roles this year. 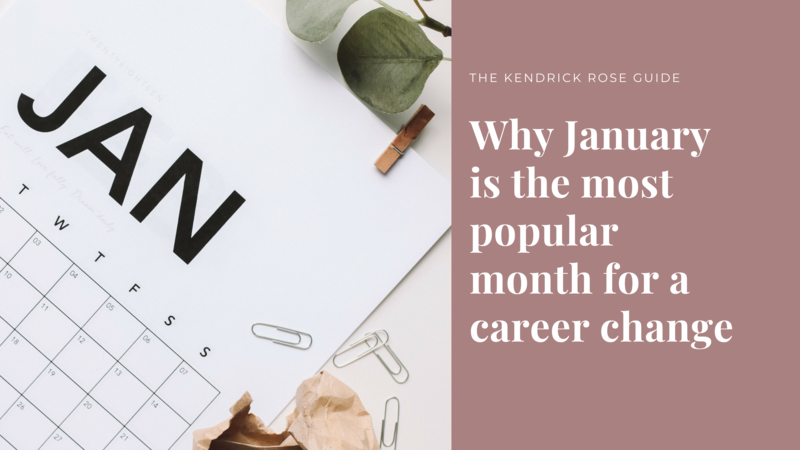 If you’re thinking about changing roles this year, register as a candidate with Kendrick Rose for expert advice on positioning yourself in the Jersey jobs market. "One of the best agencies I have ever worked with they took the time to understand me and my career requirements." "I got properly focused roles that were of genuine interest - a refreshing experience from other agencies I have dealt with from both employer and employee perspectives." "Great understanding of finance and roles relevant for me fantastic communication, time efficient, personalised service very kind and thoughtful!" "I have dealt with a number of recruitment companies but have never found one that is as personable and professional as Kendrick Rose." "You take an individual and creative approach to career counselling and matching clients and opportunities." "I want to deal with an individual who takes time to understand what I’m looking for and then be proactive in contacting their network and database."